Robert Turner (Ted Turner) the WTBS television station, which was dubbed as the first superstation. The station broadcasts on a nationwide scale using local cable TV operators. He also pioneered the live broadcasts of news on television. This is how Cable News Network, or more popularly called CNN, started. Robert Turner was born in Cincinnati, Ohio. He attended Brown University and was a member of the Kappa Sigma Fraternity. At first, Turner took Classics as his major but later he switched to economics. When his father, Robert Turner, Jr. died, Ted inherited an advertising business. He used that business to acquire a small broadcast station in the locality of Atlanta, which he called WTBS. With this, he took advantage of the potential of communication satellites to make his small local market station available nationwide. Turner also utilized the local cable companies to create the same effect. 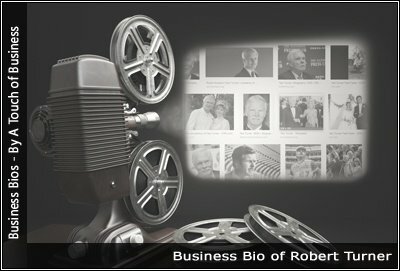 In 1980, Robert Turner created the Cable News Network or CNN. He got this idea when he observed that he never catches the network news at 6:30 pm anymore because he comes home late everyday. Turner wanted to create a television format of “all news, all the time” thus the creation of CNN. In 1988, Robert Turner created a new channel call Turner Network Television or TNT. The main channel’s purpose was to be a vehicle for classic TV shows and classic movies such as Gone With The Wind. Another brainchild of Robert Turner is the Cartoon Network that showcased different cartoons from Warner Brothers such as Looney Toons, Merrie Melodies, and cartoons from Hannah-Barbera Productions. In October 10, 1996, Turner Broadcasting System Inc. merged with Time Warner Inc. This merger resulted in Robert Turner having the position of vice chairman and head honcho of the cable networks division of Time Warner. Company: Turner Broadcasting System Inc.
Ted Turner has not only made a mark in the broadcasting and business world but in other areas as well. He is actually one of the most influential philanthropists in America. In 1990, he founded the Turner Foundation, Inc. which supports efforts for developing sustainable energy, improving water and air quality, maintaining wildlife habitat protection, safeguarding environmental health and the development of policies and practices to minimize the population growth rate.